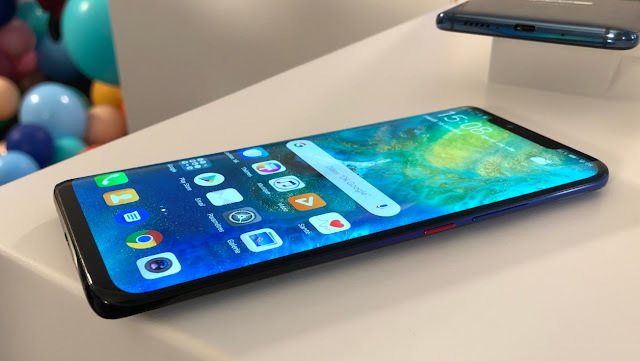 Curved edge-to-edge screen, triple camera unit, 3D face recognition and fingerprint sensor under the glass panel ... Huawei Mate Pro 20 is a focus on everything that is currently the best in technology. With the innovative P20 Pro, Huawei has been unveiled in the world as the best rival for the Samsung and Apple brands. 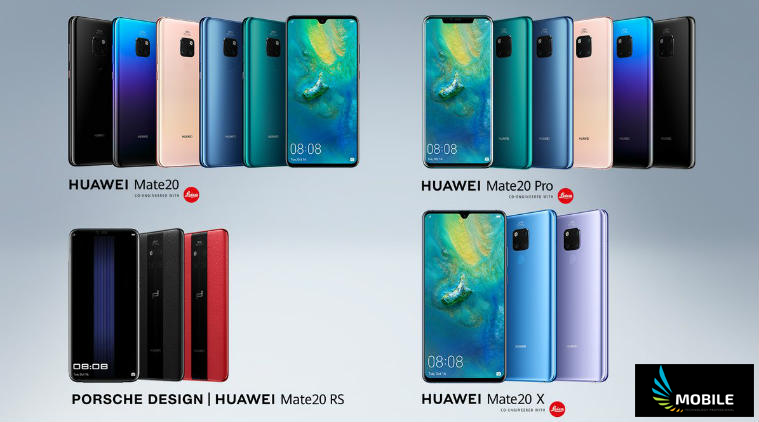 After a few months, the Chinese brand continues its efforts and finally announce, after weeks of rumors, Mate 20 Pro, the highest device yet. 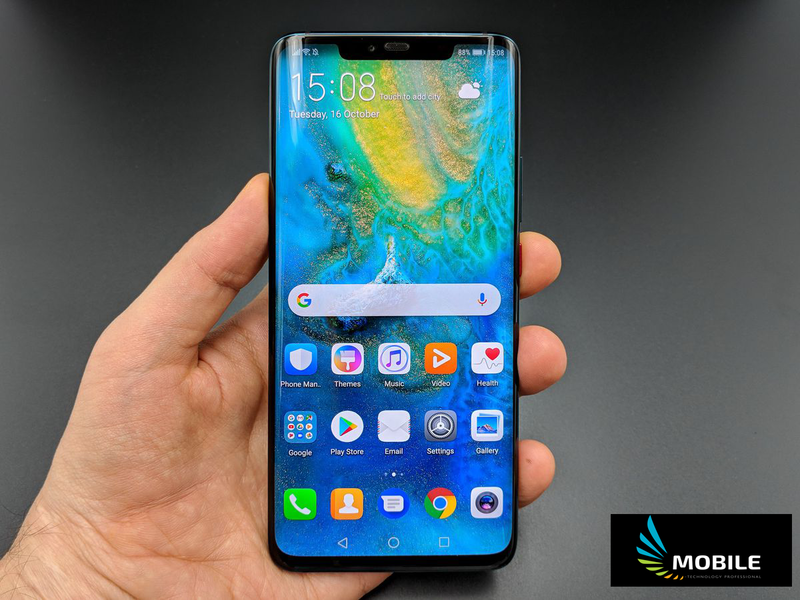 The OLED screen of 6.39 inches with curved edges, Kerin 980 processor of the latest generation, a high-capacity (4200 mAh) battery, ultra fast charging ... 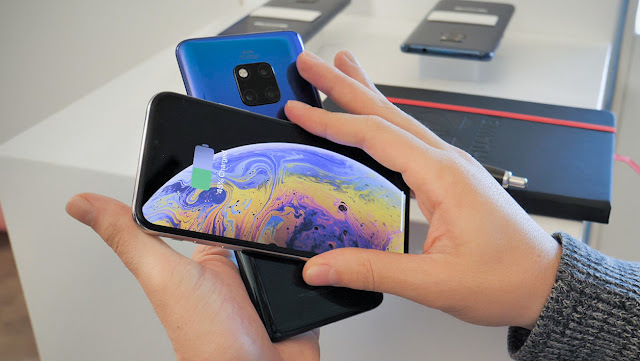 The smartphone is also characterized by innovative tri-module camera and enhanced biometric authentication systems, Dimensions or fingerprint sensor located under the screen glass. With all these built-in technologies, Matte Pro 20, in the 128 GB version of storage and 6 GB of RAM, will land in France before the end of this month at a price of € 999 ...! We were able to take it at hand during his presentation in London. The Huawei Mate 20 Pro features a 6.39-inch QHD screen and belongs to the very large smartphone category. At hand, it can become annoying quickly if you use a smaller device ... even if it is finally a matter of time before reaching that size. 19.5: 9 aspect ratio for the screen is helpful from this point of view: with almost no edges on the sides, the fairly narrow case provides a good grip. On the right side, there is a unlock button (different color, an aesthetic) and audio buttons. 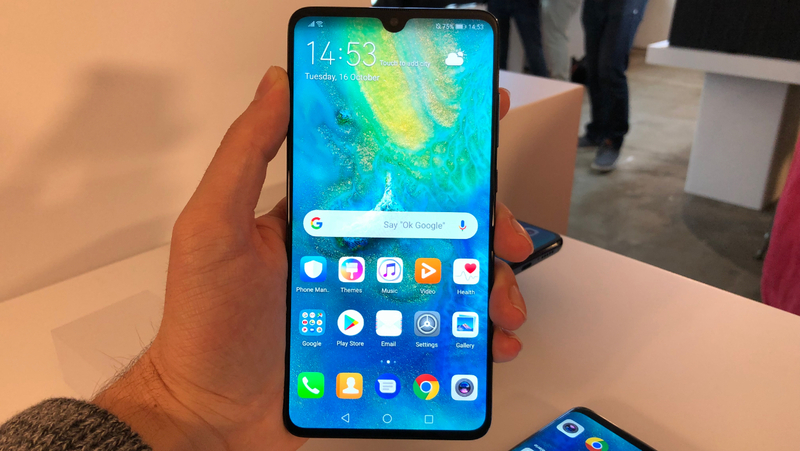 On the back, Huawei Mate 20 Pro is very successful. In imitation polycarbonate, benefit from a new coating, in addition to Oleophobic treatment, which does not take fingerprints. It seems very effective. We are far from the impression magnets that the P20 Pro was. Four colors are available in the launch of the Pro Matte 20: Twilight (blue color iridescent violet Huawei further improved), emerald green, midnight blue and black. Like the P20 Pro, the Mate, which complies with the IP68 standard, is waterproof. Huawei's first smartphone to ship Kerin 980 processor, Mate 20 Pro is expected to outperform China's brand, we have not been able to verify it at this time. Engraved at 7 nm, this depends on SOC artificial intelligence and better energy management. Thanks to it, it's possible, for example, to keep only one color in the video and to see the result displayed in real-time, a nice algorithmic achievement. Another novelty, the arrival of Class 21 4G, offers speeds of up to 1.4 Gbps. New record waiting for 5G. Too bad any operator offers this very high speed in France. With a 4200 mAh battery, Mate 20 Pro is the best smartphone in Huawei. This very high capacity can make him a hero of endurance. We will give you as soon as possible our first results of independence. 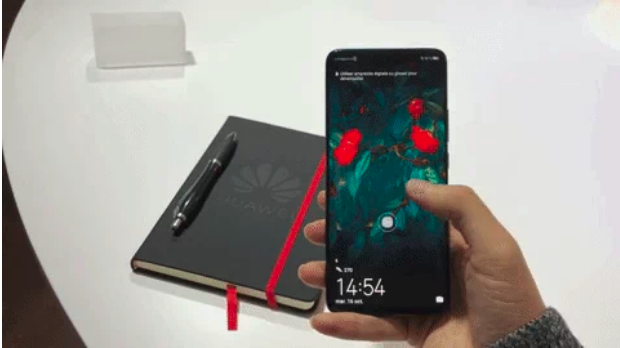 Equipped with a technology called "Supercharged 2.0" Matte 20 Pro can also charge 70% of the battery in 30 minutes according to Huawei, through the 40 W charger provided with the smartphone. It's not as good as searching for EXE (100% in 31 minutes) but already made clear. 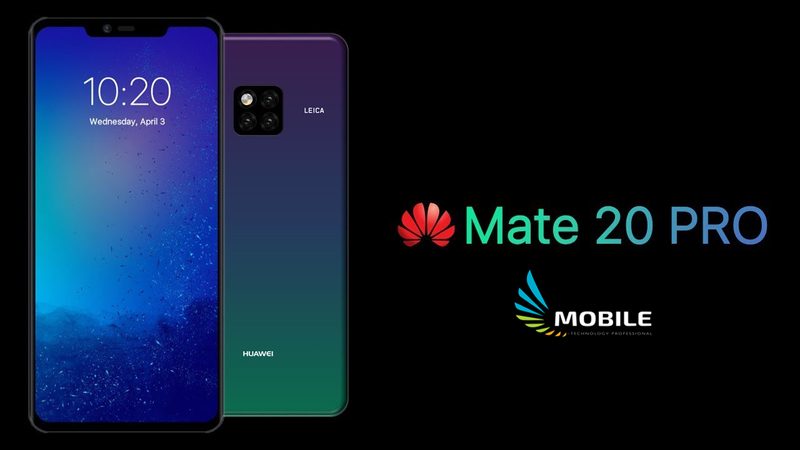 New from this Mate 20 Pro, the arrival of the wireless charge in Huawei. Supports the Chinese standard brand Qi in its best version (15W) and sells its own accessories. As a smartphone, it can charge other devices wirelessly like headphones or even ... Another smart phone just put on the back. This is definitely a bit expensive than the external battery! With the Matte Pro 20, Huawei is heavily dependent on the iPhone's TrueDepth Camera X. Even the point of the IR projection system, the same design, and the same size of the notch ... We are not far from the version. The only difference, Huawei system is not reliable enough to allow the payment without contact. The number of dots projected on the face is still much lower (30,000 for the iPhone), making it less secure. Another function, fingerprint sensor access under the glass screen, long-awaited. Indeed, the current system on the release of the Mate RS Porsche Edition will be 20% faster, according to Huawei. We have tried it and it is in fact very responsive. However, it takes a good minute to record its fingerprints, where it takes a few seconds to use a conventional sensor. The rumors were right: Huawei has reached a new format for the SD card. Unfortunately, the owner is not approved by the SD Association ... His name is "NM Card". 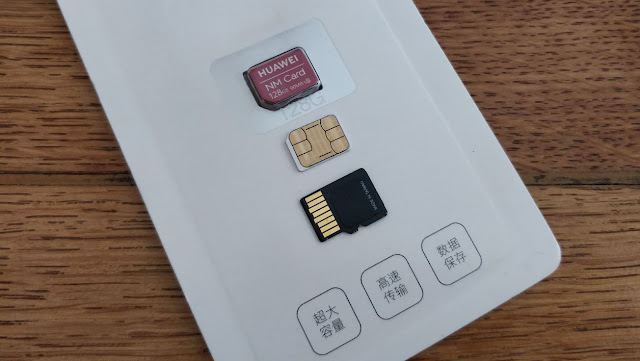 The NM card is inserted on the back of the micro SIM card (in the same tray) instead of the second nano SIM card. It will be necessary to choose between the second line or the memory extension. Huawei still knows that the NM card can be used by other manufacturers for free, but nothing indicates that it will ever be one day. The brand is currently only marketed and provides 32, 64 and 128 GB versions, and will reach 256 GB later. 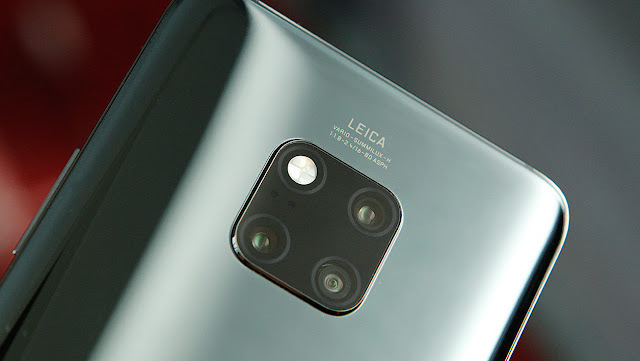 One thought that the Mate 20 Pro would take the tri-camera unit from the P20 Pro, Huawei decided otherwise. The monochrome camera disappears in favor of a very wide angle sensor, which also allows the macro. The smartphone approaches 2.5 cm from a small object (like an insect) and activates a mode that combines artificial intelligence and a wide-angle lens, and as a result it seems somewhat true to us. • Standard lens at wide angle with f / 1.8 (40 Mpix) slot. • Wide-angle f / 2.2 angle lens for taking group shots or landscapes (20 megapixels). • The fep-f f / 2.4 lens, which allows you to take pictures using an optical zoom x3 (8 Mpix). Most of the latest updates come from Mate 20 Pro. 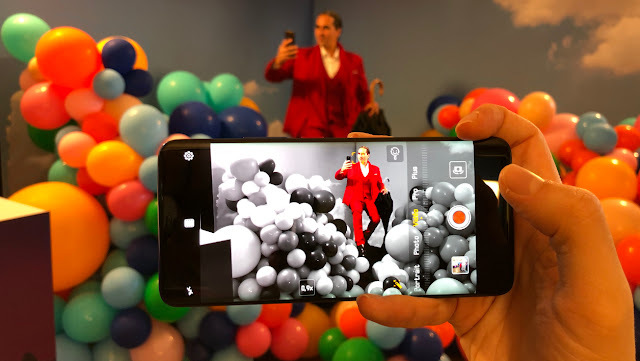 In addition to color insulation in real time, the smartphone has a focus with dynamic tracking (such as Pixel 3) or color effects. Novelties that do not seem really revolutionary to us. The other ad is Huawei, Matte 20 (not Pro) a little less equipped but still worthy of the legacy of the Pro Matte 10, with the FHD + 6.53 inch LCD, and its 4000 mAh battery and its classic backprint sensor. On the other hand, it does not have fast charging, face recognition and three-dimensional wireless charge. The smartphone still retains a triple camera unit ... less rich in pixels (12, 16 and 8 Mpix). 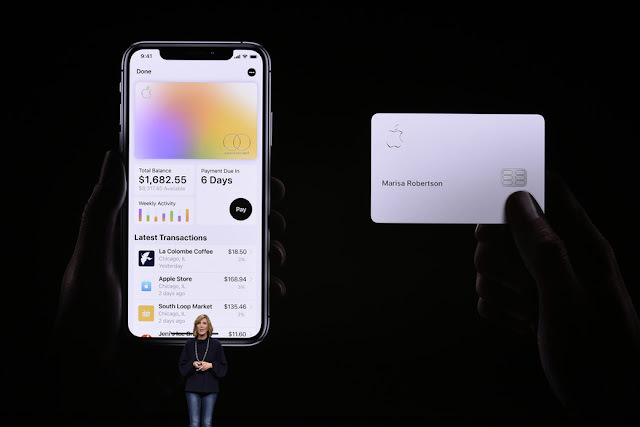 Its main advantage, the smallest degree, and thus more confidential on the interface is always limitless, especially the most competitive price of 799 euros for 4 GB of RAM and 128 GB of storage space.